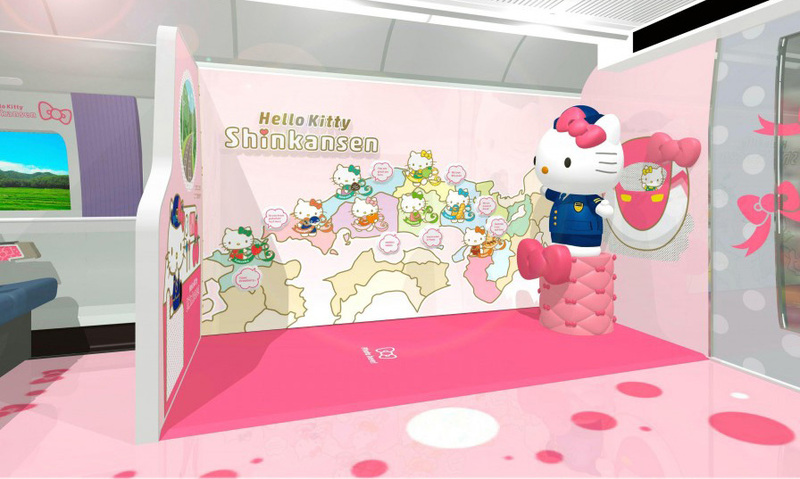 Japan’s most beloved cartoon cat will take over a bullet train in her country of origin this summer, luring in locals and tourists alike with pink and white interiors and prime selfie opportunities. 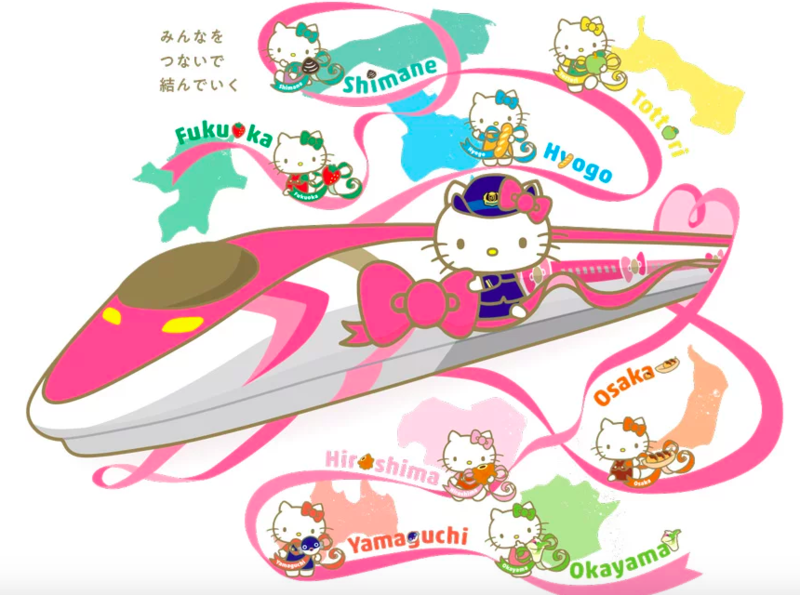 West Japan Railway Co. is teaming up with Sanrio to produce the Hello Kitty Shinkansen, a white bullet train wrapped in a pink ribbon motif that will travel between Shin-Osaka station in the Osaka prefecture and Hakata in the Fukuoka prefecture each day. The train will make its debut on June 30th. The interiors include HELLO! PLAZA in the first car, featuring tactile exhibits on the various regions of northern Japan, a travel-themed presentation, a ‘rest corner,’ a video corner, a photo backdrop and a place to buy those all-important souvenirs. The second car is the KAWAII! 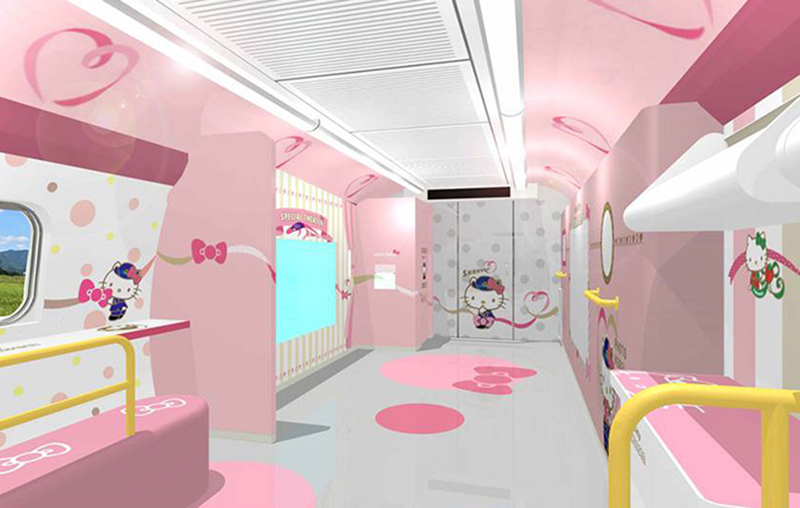 ROOM, which is really just the passenger car with special Hello Kitty touches in pastel pink. And yes, as you’d expect, it’s all very pink. The train will likely be just as much of a destination as a means of travel. 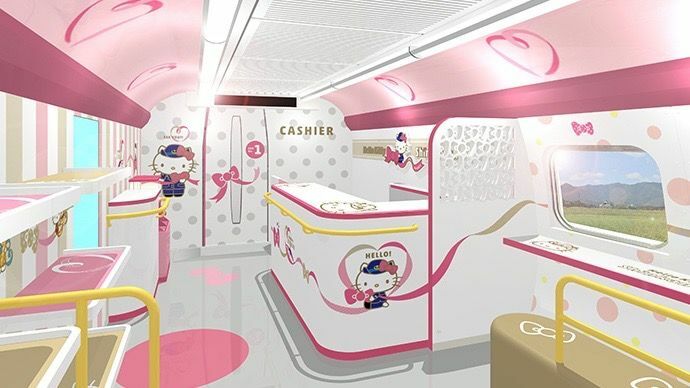 While it’s far from the first Hello Kitty-themed train – there’s already a high speed one in Taiwan, and another at Universal Studios Japan – it’s probably the most immersive.